Page 2 – Prologue (Stick-eater) of Bone 4: The Dragonslayer. 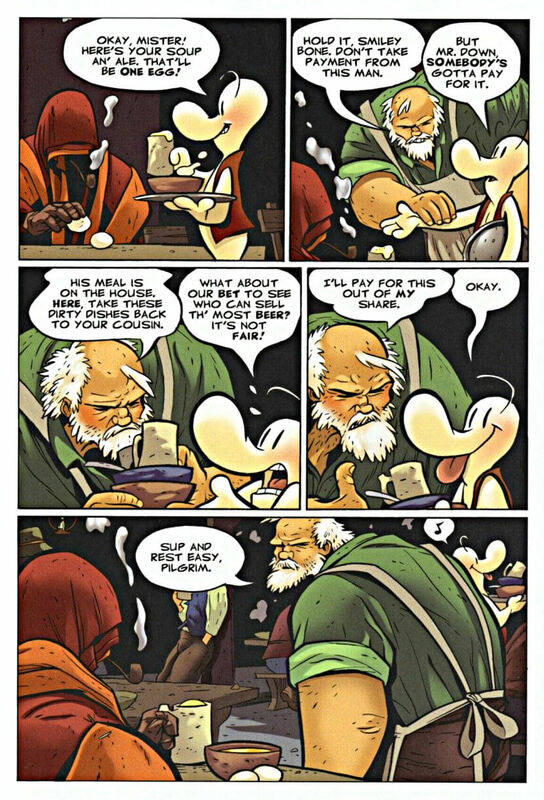 The 4th collected graphic novel edition of the epic and hilarious Bone Comic series by Jeff Smith. Continuing his hazardous adventure with Thorn and Granma Ben, Fone Bone faces numerous dangers. Phoney Bone leads the people into believing that he actually is a dragonslayer and surprisingly he does catch the Red Dragon.